Inside my head were two definite facts: First, (a) the generally obvious, that I had spent one hundred and twelve minutes watching “The End of the Tour” at the International Film Festival Boston in Somerville, and (b) that I was about to experience a serious upgrade in the personal library department. The latter, potentially less-than obvious, sort of demands an explanation, which I will attempt to provide here, now. Though the film’s premise is simple, Ponsoldt manages to pull off a biopic that side-steps biographical tedium in lieu of delving into themes of friendship, envy, depression, and ambition in a post-postmodern world. “The End of the Tour” deals with Wallace’s complicated thrust into fame, and the subtle idolization and envy that Lipsky must overcome if he is to fulfill his journalistic duty of interviewing the first author Rolling Stone had covered in over a decade. 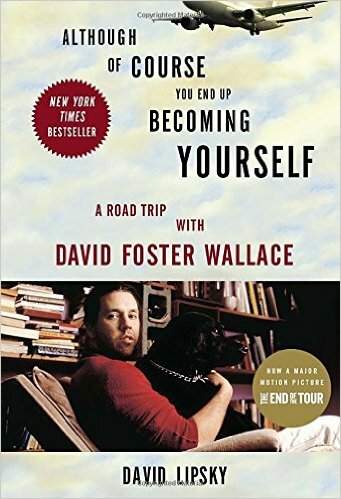 It is an attempt to communicate Wallace’s most important themes, especially the nature of loneliness and sadness as they relate to the American Dream. Eisenberg takes on the role of Lipsky, an ambitious reporter and budding fiction writer who, though admiring of Wallace, is ultimately offering something that makes us uncomfortable: a disingenuous gesture of friendship in order to pry into the secrets of another man’s life. Eisenberg’s classic persona of fast talking, foot tapping nerves works extremely well here, mostly because it puts the viewer in the self-conscious heat of his journalistic glare. When backed into a corner, his go to line is “You agreed to the interview,” spoken always through a cocky grimace of feigned righteousness that we, for some reason, cannot look away from. Eisenberg’s on-screen talent is the perfect compliment to an Oscar-worthy performance by Segel, who takes on the near impossible task of portraying one of the most influential American writers in recent memory. He employed a combination of sharp sensitivity and attention to detail, charming audiences with Wallace’s Midwestern “Regular Guy-ness”, while also dazzling them with his unlimited verbal talent. As a result of this, you will find yourself clinging to every word between the two writers about American life, entertainment, loneliness, Alanis Morissette, ambition, dogs, depression, sugar, women, self-consciousness, drugs, Die Hard (the first Die Hard, mind you), jealousy, pleasure, religion, McDonalds, et al. “The End of the Tour” is a 112 minute dance between two minds very damaged by the forgotten world of 1996: a time before the tech-bubble grew, burst, and grew again, before September 11th, a time when you could live in New York on a writer’s salary and a Bloomington, Illinois video store was a reasonable place to include on a set of driving directions. Two writers colliding into one another, both having just discovered that fulfillment is not found simply through achievement and success. By the end of the film, we are watching the two of them eat McDonald’s on Wallace’s couch, the morning after Wallace finally spoke candidly about the heroin rumors and his eight-day stint at McLean’s Psychiatric Hospital. This moment contains something that almost resembles friendship. It is Friday now, and the radiator bangs and hisses, and I’m tearing through Wallace’s first nonfiction collection, A Supposedly Fun Thing I’ll Never Do Again, and a week later, Consider the Lobster. He writes with tremendous clarity and depth of observation. It is a voice that is unique to contemporary America, one that dusts off certain things in our minds’ corners that we had forgotten were ever there in the first place. After putting down his nonfiction, I officially purchase the gargantuan Infinite Jest, and it is pretty much what I do for the next three months, and thankfully, because it is a modern masterpiece. In his conversation with Lipsky, Wallace spoke on our unhealthy desire to numb ourselves to solitude. “The interesting thing,” he said, “is why we’re so desperate for this anesthetic against loneliness.” According to Wallace, we will never understand one another, never learn how to be intimate or fulfilled or whole, until we know how to be alone with the people we are. 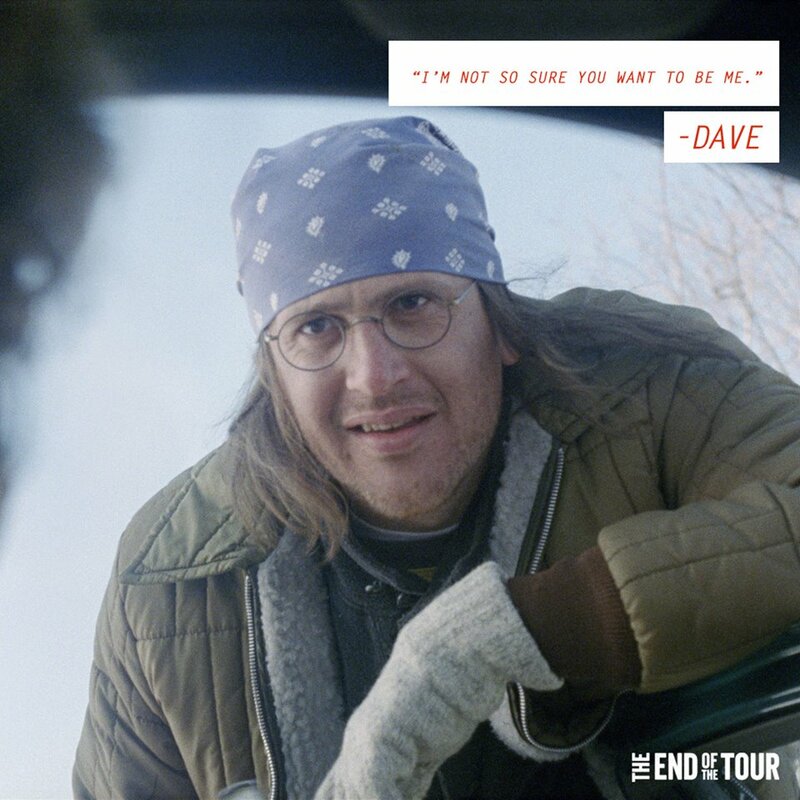 This discovery is the major takeaway from “The End of the Tour,” and why I think that it is the most important American movie of the year. This is a film that will make you want to read. When writing and filmmaking are at their absolute best, and I mean like when they are this good, you will know, because the effect will be an invisible psychic conversation with someone you’ve never met and most often never will. A part of me wishes that Dave were here still, which of course is impossible, and a little bit selfish, but it is a wish that comes from a desire to thank him, and to say goodbye, and to tell him how sad I am to see this conversation end. Aren Robinson LeBrun is a 21 year old student journalist, writer & award winning amateur filmmaker currently in pursuit of semi-adulthood in Boston, Massachusetts. Originally he hails from a tiny little town in the Great White North of rural Maine. 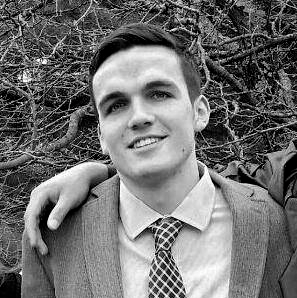 He loves (in no particular order of importance) basketball, black coffee, movies, writing, kayaking, hiking, Hawaiian shirts, a good beer, and Nintendo 64. He’s never had a Lunchable.